Lalou Bize-Leroy doesn’t miss a beat. The years may pass, but Bize-Leroy remains a beacon of uncompromising quality and a fountain of strong, deeply held convictions. Leroy’s 2014s are tense, brilliant wines endowed with remarkable energy, translucence and expression of site, all of which give them a sense of classicism that will thrill Burgundy lovers. 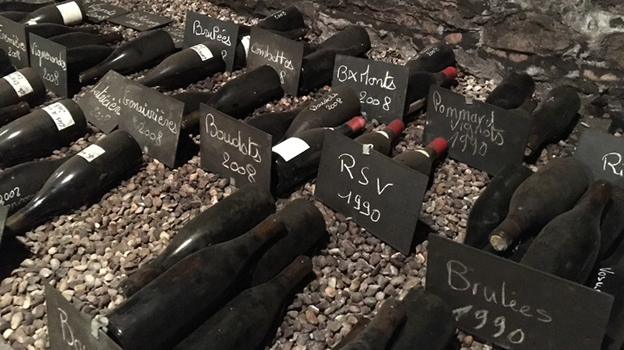 Bize-Leroy presented her 2014s from bottle, one by one, in what I can only describe as an extraordinary tour through a dizzying number of Burgundy’s most celebrated vineyards, including a mind-boggling nine Grand Crus. One of the hallmarks of the 2014s is a bright acid profile that make flavors pop with vivacity. Because of the wines’ elevated acidities, the malolactic fermentations were drawn out, which in turn required longer élevage in barrel than has become typical here. The 2014s were bottled between March and April 2016, which is very late by present day standards at the domaine. For comparison, most of the 2015s had been bottled when I stopped by in November 2016. As is the custom here, the wines were vinified with 100% whole clusters and aged in 100% new oak. For more on Lalou Bize-Leroy and her remarkable career, readers might enjoy revisiting my article Lalou Bize-Leroy: Celebrating Sixty Years at Maison Leroy, published in 2015. I tasted all of these wines during a visit to the estate in late November 2016.